David Faber has had over 25 solo exhibitions in Brazil, Canada, Germany, Italy and the United States. He is Professor of Art and Master Printmaker at Wake Forest University, and has been head of printmaking since 1984 when he expanded the program to include intaglio and relief to the already established lithography program. Faber teaches introductory, intermediate, and advanced courses in intaglio, lithography, relief, and mixed methods. He received a Bachelor of Fine Arts degree in drawing and printmaking from Northern Illinois University, and a Master of Fine Arts degree in printmaking and painting from Southern Illinois University where he was a Teaching Intern and a Graduate Fellow. Faber’s practiced printmaking techniques include intaglio, lithography, relief, monotype, and mixed media. 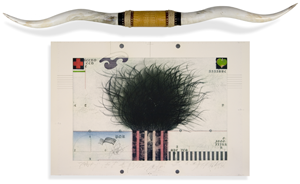 His specific methods of intaglio include: drypoint, engraving, etching, and mezzotint. Some of his most notable series include: The Pedigree Papers, Friesian Series, Aberdeen Headlands, Holstein Poetry—Catenary Curve, Red Holstein Factor, the Poet’s Dance, Twelve O’clock Hearts, and Twenty-four Famous Sires. His prints are held in the permanent collections of The Corcoran Gallery of Art, The National Gallery of Art, The Metropolitan Museum of Art, U. S. State Department, American Bar Association, The Scuola Internazionale di Grafica Venezia, The National Art Museum of the Ukraine in Kiev, and Achenbach Foundation for Graphic Arts of the Fine Arts Museums of San Francisco. In 1978, Faber was the first North American artist to be invited to work at Ymagos Atelier de Gravuras de Arte, a lithography contract studio in Sao Paulo, Brazil, where in the decade between 1979 and 1989 he made 67 editions of lithographs—each image composed with multiple stones. While in Brazil he made lithographs along side of the famed landscape architect Roberto Burle Marx, and painters and printmakers Eduardo Iglesias, Guilherme de Faria, Renina Katz, and Joao Rossi. Faber’s prints have been included in over 80 invitational and competitive exhibitions in Canada, Europe, South America, and throughout the United States. 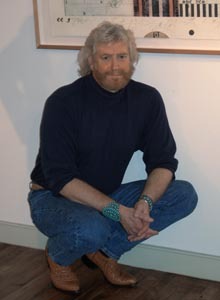 He has done numerous workshops in the various printmaking techniques and is one of the only artists presently working in the plaster-cast intaglio medium. 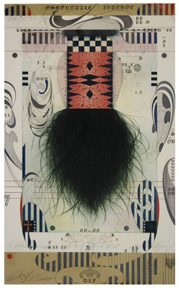 In 2004, Faber was selected as one of twenty-four artists from eight countries for The Corcoran 2005 Print Portfolio titled: “Drawn to Representation” which was exhibited at The Corcoran Gallery of Art from March 30 to August 15, 2005. Other selected artists were: Warrington Colescott, Hung Liu, Jorg Schmeisser, Renee Stout, Evan Summer, and William T. Wiley. 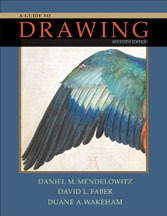 David Faber has reviewed and edited manuscripts for William C. Brown and Harcourt Brace Jovanovich Publishers, and in 2000 was selected to be lead author of the classic drawing textbook “A Guide to Drawing” published by Thomson/Wadsworth Publishers (below left). 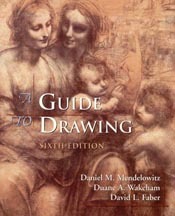 A Guide to Drawing is now available in its seventh edition, copyright 2007 (below right).